For the first time since the 1980s Russia is preparing a technology development plan, with this one covering the next 30 years. The government intends to present a national technology initiative by summer 2015. However, some experts believe that the project is simply getting too far ahead of itself. They also outline the most promising areas where technology should be employed. The Russian Ministry of Education and Science and the Agency of Strategic Initiatives (ASI) are preparing a National Technology Initiative that will determine the direction of Russia's scientific-technological development over the next 20-30 years. Russia has not engaged in such planning since the 1980s. ASI was created by the Russian government in 2012 for the implementation of economic and social projects, especially for improving the entrepreneurial field and preparing personnel. In the words of Education Minister Dmitri Livanov, the aim of the project is not only to achieve technological independence, but also guarantee Russian leadership in the areas that will determine the development of the world economy. Currently, ASI is carrying out analyses, seeking partners from scientific and educational fields, as well as the business world and is planning to outline the main objectives of the new initiative by the end of summer 2015. Experts who have been following the process believe that it is still too early to disclose the contents of the project, yet some independent analysts are already offering interesting ideas and predictions. 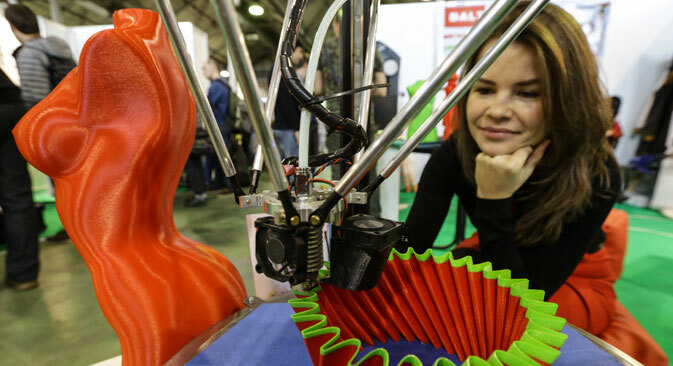 Mikhail Delyagin, a doctor of economic sciences and the president of the Globalization Institute is convinced that 3D printing technologies could deal a blow to the economies of southeastern Asia. "You won't need to buy dishes from China or Thailand," explains Delyagin. "They'll be printed out for you at the local hypermarket. And even if it will be done in China, it will require fewer hands, (and the workers) will soon be more qualified anyway. This will be a revolution that will close Southeast Asia if everything continues at today's pace." In an interview with RBTH, Delyagin said that in the next 20-30 years the world would demand technologies that combine simplicity and affordability with high efficiency. In particular, this means processing materials in various fields, genetic engineering and human integration with computer and artificial intelligence. However, Delyagin is skeptical about Russia's prospects of creating its own scientific-technological strategy, saying that it is "running too far ahead." "First, Russia needs to establish a good educational system,” Delyagin says. “You can’t give higher education to someone who doesn't have a middle education. Therefore, for now it would be useful to create a structure for finding, obtaining and commercializing inexpensive super-productive technologies." Ivan Moiseev, the scientific director of the Moscow Space Club, told RBTH that in the next 20-30 years the educational subjects that will be most in demand would remain unchanged, including physics, chemistry and biology. The quick development of IT, medicine and technological production of new materials will continue. "There will be an increase in demand for space technologies in the fields of satellite connection, coordination and time support (navigation, salvaging) and the remote sensing of the Earth," says Moiseev. Moiseev is convinced that Russia will make a contribution to science and the development of technology, but its chances of assuming a leading position are not strong while the administrative and psychological barriers are still in place and the role of state corporations and monopolies that are disinclined to innovation are not diminished. Moiseev also believes that the officially accepted scientific-technological strategy could play a serious role in stimulating development, but only if it is of the highest caliber, which cannot be said of similar initiatives in the past. "Usually several organs are entrusted with the development, which is why the result depends on their compromise," says Moiseev. "As a rule, those conservative structures create a document that is non-obliging, only reproducing the organs' existing plans." If the initiative is created, then in Moiseev's opinion, it must include the formation of a natural science educational system, which would embrace all age groups and preparatory systems for engineers and high-level specialists.